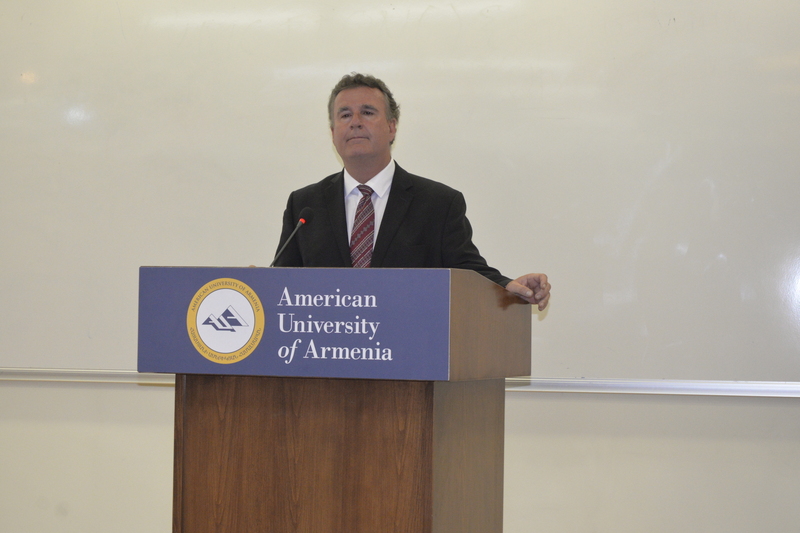 YEREVAN, Armenia – On October 13, the American University of Armenia (AUA) hosted a public lecture about the current elections in the United States. The event was an organized effort by the U.S. Alumni Association of Armenia and the AUA Alumni Yerevan Club. 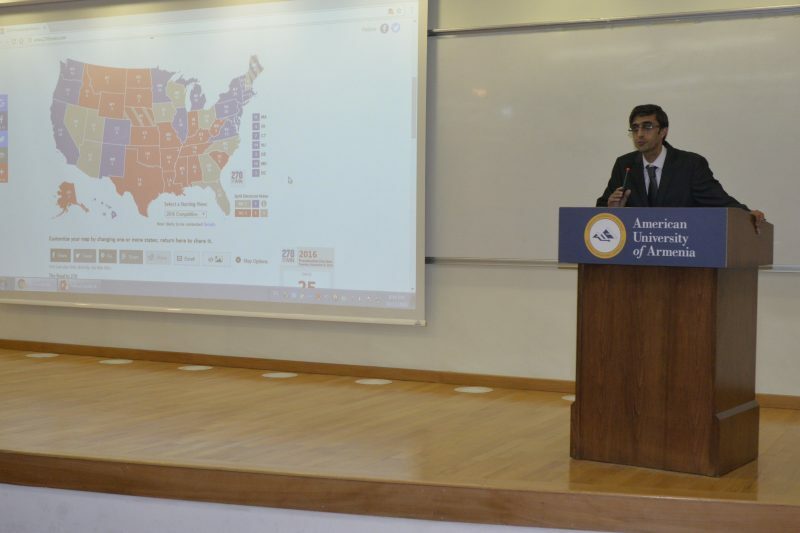 During the lecture, Dr. Hannahan discussed the direction of the U.S. elections and its relation to global events. He also addressed the elections impact on U.S. foreign and domestic policy. A particularly interesting point that Dr. Hannahan also addressed was the rise of Donald Trump, as well as how and why he has established such a negative perception. Dr. Hannahan received his master’s degree and Ph.D. from the University of Massachusetts Amherst and his bachelor’s degree from Miami University. Over the past 11 years he has managed 47 different exchange programs and has spoken extensively in Pakistan, Iraq, Indonesia, and Argentina. He has also managed programs in Croatia, Russia, and Bulgaria. Dr. Hannahan’s research examines the effects of political campaign activity, especially direct mail and phone banks. Dr. Hannahan has worked for political parties, managed campaigns and political consulting firms, and served as senior advisor to former Massachusetts Governor Jane Swift. Additionally, he teaches American Political Thought, American Government, Campaign Finance and Reform, and Modern Political Campaigns.